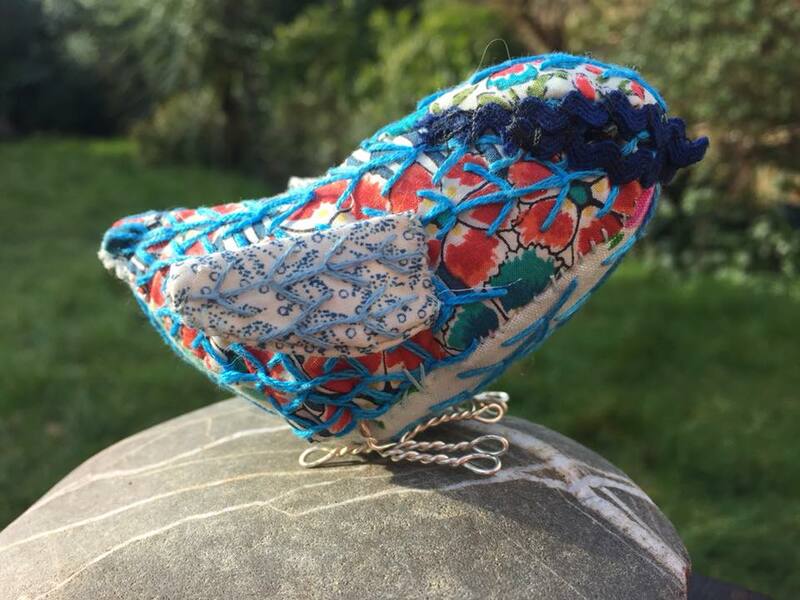 147) Adorable Little Birdy in fabric with fabulous decorative hand stitching, approx 10cm long. Teeny little wire feet too. Can’t cope with its CUTENESS!! 147) Adorable Little Birdy in fabric with fabulous decorative hand stitching, approx 10cm long. Teeny little wire feet too. Can’t cope with its CUTENESS! Item 124) Beautiful baby blanket in James C Brett Flutterby Chunky.